THE HISTORICAL LEDGER gives famous spies and traitors a celebrity they rarely sought in their own lives. For Americans, treason and Benedict Arnold are synonymous. When we admire noble patriotism, we think of Nathan Hale, executed by the British as a spy in September 1776, regretting that he had only one life to give for his country. But the most accomplished spy of the American Revolution, Edward Bancroft, was a man whose name is known only to scholars. It took a whole century for knowledge of his espionage to become part of the history of the Revolution. Thomas J. Schaeper’s biography is the first work of scholarship that gives Bancroft’s career the fair and properly inquisitive treatment it deserves. In many ways, this is a model biography, not so much in telling the full story of Bancroft’s life—significant parts of which remain elusive—but in carefully assessing what we do and do not know about his activities. In contrast to the detractors who have described and disparaged Bancroft ever since his treachery was revealed, Schaeper weighs the allegations and the charges against him one by one, and in doing so he repeatedly illustrates how history should properly be written. Schaeper takes no statement about the past for granted. He insists that every claim rest on some documented foundation. 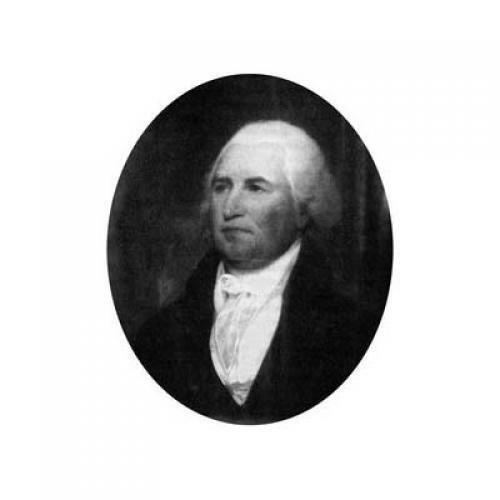 Bancroft was born in January 1744 to a Massachusetts farming family. His father died of a seizure in a pigsty before Edward was two, and a few years later his mother remarried. Edward’s stepfather kept the family shuttling between Massachusetts and Connecticut before opening a tavern in Hartford. Edward must have shown strong intelligence as a youth, because at the age of fifteen he became a student of Silas Deane, a young Yale graduate who later became the first diplomatic commissioner whom the Continental Congress sent to Paris. In 1760, Bancroft became an apprentice to a Connecticut physician, and began acquiring the distinctive intellectual interests he pursued thereafter. In 1763, as the Seven Years War ended, he skipped out of his apprenticeship and sailed off, first to Barbados, and then to Dutch Guiana on the South American mainland. Here he quickly parlayed his medical learning into employment as a “surgeon” to European plantation owners. By 1766, with his savings in hand, he left his medical tasks behind and began journeying through the surrounding countryside, keenly observing the flora and fauna. A year later he sailed briefly back to Barbados and New England before heading off to London, which became his permanent home until espionage drew him to Paris. All this might seem a mere prelude to Bancroft’s real life in diplomatic treachery. But grasping the course of Bancroft’s life is essential to Schaeper’s larger project. As his subtitle—Scientist, Author, Spy—suggests, the proper way to understand Bancroft is to ask how his plunge into espionage followed his prior activities. For Bancroft’s three years in Guiana became the basis for his initial success in metropolitan London. His first genuine claim to fame came with the publication in 1769 (when he was all of twenty-four) of his Natural History of Guiana, a work full of keen observations of natural life, including the behavior of aboriginal inhabitants, whom he viewed in dispassionate terms. By promising a glass of rum to any native who brought him a snake, Bancroft soon gained a collection of three hundred reptiles. His most celebrated observation was the recognition that the “torporific eel” (as he called it) stunned its adversaries with an electrical shock. In 1769, Bancroft also published a pro-American pamphlet on the imperial controversy over Parliament’s claims to jurisdiction over its colonies. He followed that four years later with a three-volume novel, The History of Charles Wentworth, set in England and Guiana. For a provincial youth from an extremely modest background, this was an extraordinary record of accomplishment, and Bancroft was honored with election to the Royal Society in 1773, when he was still twenty-eight. One of his sponsors was Benjamin Franklin, the leading American in London, who naturally showed particular interest in Bancroft’s work on the electrifying eel. Franklin remained his patron thereafter, which accounts, of course, for his inclusion in the American embassy in Paris. Yet what Bancroft and Franklin also shared was an Atlantic identity that transcended their American origins. London, not Philadelphia, had been Franklin’s home since 1758, and he was perfectly content to live in the empire’s great metropolis. For Bancroft, residence in Britain offered a wealth of opportunities that America could not. He pursued medical studies in Scotland, became an early member of the reformist Medical Society of London, and thought of America first and foremost in commercial terms, as a potential source of the tree-bark based dyes from which he and his brother Daniel hoped to make their fortune. Bancroft had become a British American, in the full sense of the term, and from that identification Schaeper draws an important conclusion about his political identity and loyalty. American writers have treated Bancroft’s espionage as a simple matter of treasonous disloyalty to his native land. But to which country did Bancroft owe his allegiance? Happily resettled in metropolitan London, married to an English Catholic who completely broke with her family to settle with him, eager to make his fortune in commerce and stocks, Bancroft was no longer a mere Connecticut Yankee. Like Franklin, he was a citizen of the empire, an Atlantic man. At the same time, he could harbor the hope, or the illusion, that his espionage might somehow facilitate the reconciliation of the mother country and its former colonies. Schaeper proposes that Bancroft wanted to see American rights vindicated and the authority of the empire preserved—and that was a position many participants would have favored, at least into 1775. Whether it remained a plausible option after 1776 is a tougher question. When Paul Wentworth approached Bancroft in August 1776 with an invitation to work for British intelligence, Bancroft was willing to go along. He had just visited Silas Deane in Paris, and freely told the British everything he could about Deane’s efforts to mobilize French support and resources for the American cause. Bancroft had established his potential, and soon the offer came to make espionage his business. The next spring Bancroft went to France, soon followed by his young family (his wife Penelope was carrying their third child), and effectively joined the American mission. That original commission of three was famously divided. Franklin, who debarked in France in December 1776, concentrated on diplomacy at Versailles. Deane was most active in seeking supplies and recruiting military officers, going so far ahead of what Congress wanted on the latter count that his commission was eventually vacated. The third member of the commission, the paranoid Arthur Lee of Virginia, spent his time suspecting everything his two colleagues were doing. Bancroft naturally got on quite well with Franklin and Deane, who gave him free access to their papers, which Franklin, in any case, never deemed to be worth protecting or shielding away. Bancroft quickly began copying and transferring documents, tracking American efforts to forge treaties of alliance and commerce with France. He had to develop ways to get his documents safely into British hands. One favorite method was to make a weekly night-time drop in a hollow tree in the Tuileries. Many historians have adored this little detail, and will be disappointed to learn, as Schaeper explains, that this risky maneuver was a brief experiment, soon replaced by safer methods. Schaeper traces Bancroft’s ongoing efforts with measured skill, repeatedly avoiding the sweeping generalizations and condemnations that others have bestowed. When the American victory over Burgoyne at Saratoga, in 1777, cleared the way for the French alliance, Bancroft gave the British government early and accurate notice of how quickly the diplomacy was moving. Lord North, the chief minister, whose martial knees frequently dissolved into political jelly, immediately concluded that Bancroft was right; but his superior, George III, originally held to the view that Bancroft was an unreliable American deceiver. Events proved Lord North right, and his scheme to try to preempt the French alliance by offering the Americans everything they had wanted before declaring independence quickly went through Parliament. The British soon sent the Carlisle Commission to America, bearing the good news that the terms the Americans had originally sought before the spring of 1776 might now form the basis of reconciliation. American leaders worried how this news might affect public opinion. But with three years of warfare, two years of independence, and an alliance with Europe’s major military power now behind them, they were hardly likely to reverse course. That point goes to the larger question that Schaeper’s book raises and prudently answers. What difference, if any, did Bancroft’s espionage really make? The basic answer seems to be, not much, if any at all. Information obtained in Europe could provide the British with a great source as to how much support the Americans were gaining from their alliance, but translating that into operational advantage, either at sea or an ocean away in North America, was virtually impossible. This was not the age of Magic or Enigma, and distant disclosures of critical intelligence rarely if ever had immediate application. On the diplomatic side, the major determinants of wartime diplomacy were the Americans’ October victories at Saratoga in 1777 and Yorktown in 1781. One brought alliance, the other brought peace, and Bancroft’s disclosures on both occasions did nothing to alter the course of diplomacy. Again, Schaeper’s careful examination of each phase of Bancroft’s career produces a nicely tempered account that leads us away from exaggerated judgments into a more realistic assessment of the limits as well as the promise of espionage. This approach carries one other benefit. Espionage was only one phase of Bancroft’s career, and a passing one at that. Author, scientist, physician, émigré, and would-be dye manufacturer whose writings on that subject remained authoritative for decades to come: Bancroft became an American success story by moving beyond his country beginnings in New England and carrying his intelligence into an Atlantic world for which Britain long remained the capital. Espionage may have been the most dramatic part of that story, but in some ways it may also have been the least important. Jack Rakove teaches history and political science at Stanford University.